The journey of Kamdhenu dates back to the year 2000, with a successful real-estate foray in and around Pune. Since the inception, we had a clear vision of what we wanted: a company with a core of skilled professionals that could consistently deliver high quality construction at a competitive price. We develop accurate pre-construction budgets, as well as efficient and cost-saving construction methods. We perform all tasks with our own team of skilled craftsmen, and effectively manage our projects during construction. With more than 12 years since the formation, our strength evolves in traditional construction methods and a creative, fresh approach to cutting-edge technologies. 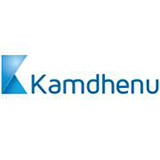 This has helped Kamdhenu portray a genuine image of national development through the myriad projects completed successfully within the required time frame. We constantly encourage feedback from our in-house team, as well as our partner vendors and subcontractors. Above all, we never lose sight of the fact that our most important partner is you.